I made these for lunch today and they were too good not to share. 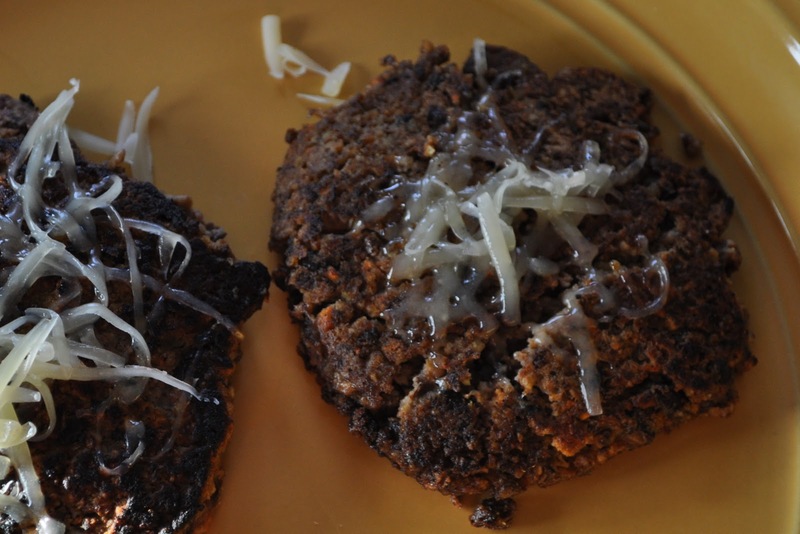 My kids tell me they don’t like black beans so I just didn’t tell them that is what these patties were made out of. And they have vegetables! Eeek! In a food processor, chop carrots, celery, garlic and onion very finely. In a separate bowl, mash black beans with a potato masher so it’s mashed but has a little bit of texture. Mix in eggs. Stir in almond flour, veggie mixture, spices and salt. Heat 2 tbsp coconut oil in a cast iron skillet. The mixture will be fairly liquid so it would be hard to form patties with your hands. Instead drop the bean mixture into a hot skillet and smooth into a pattie with the back of your spoon. Cook about 5 mins each side.